While Hippocrates recognized early on that medicine was complicated enough to necessitate specialists, medicine has advanced far beyond what he could have ever predicted. I practice medicine in a world of specialists who have received training so that they might specialize in tumors of only one lobe of the brain. For a time, it seemed health care consumers believed doctors with the most specialized training were inherently better doctors than those trained to care for the whole person. While these specialists are needed and valued, we must remember that in medicine our goal is to care for the whole person. That is done best in primary care, and I believe a new generation of health care consumers is restoring our recognition of that value. Technology has helped create this new generation of consumers. They are more informed about their health, health care costs, and the potential savings good preventive care offers, not to mention the potential for increased quality of life. And as a result, they are more interested in collaborating with a primary care physician to negotiate the health care system and help keep them healthy. The new generation of health care consumers – the patients of the future – want to have a conversation about their options and understand what is best for them. And primary care providers, privy to the multiple aspects of a patient’s life that affect his care, are uniquely equipped to do that. Some may consider us gatekeepers to the system, but this is a past vision of primary care. The primary care provider of the future, and the way I see myself, is a guide and a medical home to help patients negotiate their bodies, their environment, and the health care system that can easily cause more harm than good and make a patient feel lost instead of found. 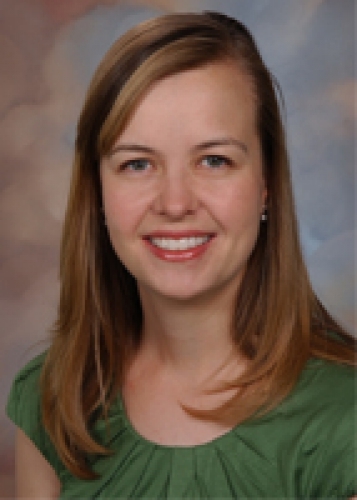 Karly Pippitt, MD is an Assistant Professor at the University of Utah Family Medicine Residency. She blogs occasionally at Primary Care Progress, and can be followed on Twitter @kpippittmd.